If you are unsure about whether or not you have contracted HIV from another individual and are concerned, it is important to realize that you should not solely rely on the general symptoms that may occur. It is possible that you will not experience any of these, due to the fact that you may have just contracted the virus or are in the very early stages where detection is hard to read based on symptoms alone. It is also important to remember that other diseases have the same symptoms, and there is no reason to become alarmed right away. The best way to know for sure whether or not you have contracted the virus is to go to a doctor and get tested. Although one should not rely on symptoms for an accurate diagnosis, it is crucial to recognize that there will be virtually no change in your average health right when you acquire the virus. However, the first sign of there being a problem may include a brief period of flu symptoms, as well as a rash or swollen glands. Once you have received HIV from another person, the virus will go through four stages, and these all have various signs and symptoms to watch out for. Several weeks after the virus has begun to spread, a person may experience a series of issues known as acute HIV syndrome. Symptoms with this phase include fever, headache, painful limbs, a sore throat, enlarged lymph nodes, fatigue, bouts of diarrhea, changes in eating habits, and nausea. As said prior, this is the phase that often gets mistaken as the flu and is generally ignored. These HIV symptoms may last for a couple of weeks at most and then will subside. The second stage of the disease has virtually no symptoms. As long as you take the medications that are prescribed, you will be able to live a normal life. This period will generally last eight to ten years. During this phase, the amount of the virus detected in the body drops to very low levels. However, it is very important to realize that, although HIV symptoms are not present, the body is still being affected by the virus, which is reproducing and destroying important immune cells. At this phase of the infection the body becomes heavily damaged by the virus and HIV symptoms begin to pop up. These may include a long-lasting case of swollen lymph glands, continuous fever, dry coughing, long-term diarrhea, and night sweats. This phase lasts around one to three years. The last phase involves the virus transforming into AIDS, and this is when a person is going to become susceptible to certain infections, such as pneumonia, certain neurological disorders, as well as certain forms of cancer. 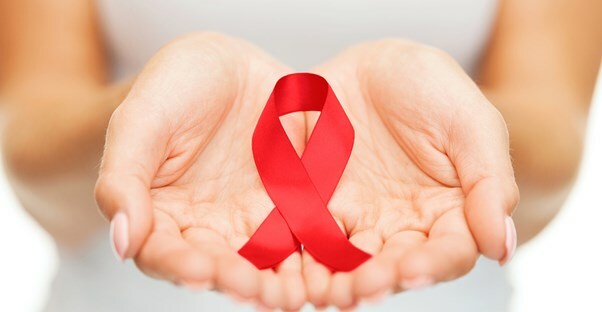 Currently there is no cure for AIDS; however, there are now many medications out there designed to help prolong the life of those who have contracted the AIDS. It is important to realize that AIDS does not mean that you will not live a long life. Many individuals with the condition can prolong their life for two decades or more. Seeking help from a doctor and getting treatment early will drastically prolong your life span and help your body to stay healthy longer without HIV symptoms.